In this era where there are many young entrepreneurs setting up startups that channel their energies into solving the world’s problems through technology, one such outstanding young man Keneth Twesigye is already making an impact event if just a student. Chano8’s Maureen Guma had a chat with him about his life, studies and future plans. Chano8: Hello, tell us about yourself. Who is Keneth Twesigye? Hello, how are you doing? My pleasure for the encounter! I am Keneth Twesigye; I am a startup consultant, Serial entrepreneur, Public speaker, Innovator and computer Scientist from UTAMU University. Born, educated and raised in Uganda by a single mother from the age of 9, I started walking the journey of entrepreneurship even when I did not know that was my spirit. I started when I was 11 years old while hawking agricultural produce still a term (hawking) and a business that I had never heard of or even seen before not until I started studying from town schools at 14 years of age. I am the CEO and Founding Team Lead of First Fortune Company and TechBuzz Hub respectively. The core team at Tech Buzz in their office. Chano8: what inspired you into taking the road less travelled (entrepreneurship)? That is your entrepreneurial journey. I am convinced to say that, I happen to be an entrepreneur by want and passion as opposed by need element that is so common lately. As earlier shared, I went into entrepreneurship way back even before I knew the concept exists. I was focusing at improving lives of the “RICH” by providing them produce that is good for their health. Then I was mainly travelling miles to my grandmother to buy egg plants from her as low as UGX. 150 a plate and on sale, would make UGX. 750 from each plate. So right from childhood, I have always wanted to solve challenges that I identify in my community thus when I got to University, was typically referred to as an innovator after championing a lot of conceptual ideas built on the existence of community problems. Chano8: Please tell our readers more about your innovation(s), what exactly do you do? This question can take me days to exhaust but will keep it too brief. 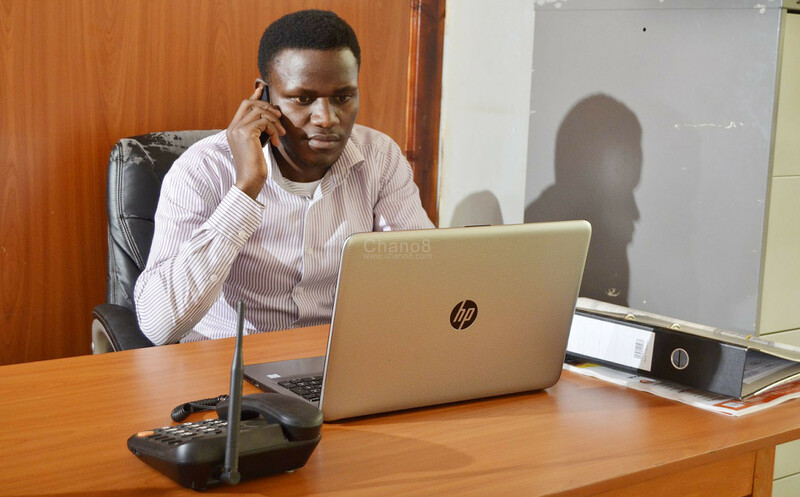 I started with a security innovation that got me to Voice of America by Shaka Ssali Innovation news with Mr. Paul Ndiho, as the reporter while still at UTAMU. From there, shortcomings put me and my team down and there championed a student company that also did continue with students but rather dropped from students to skills development services. I can conclude with TechBuzz Hub, where I am actively and fulltime serving as a Team Lead. 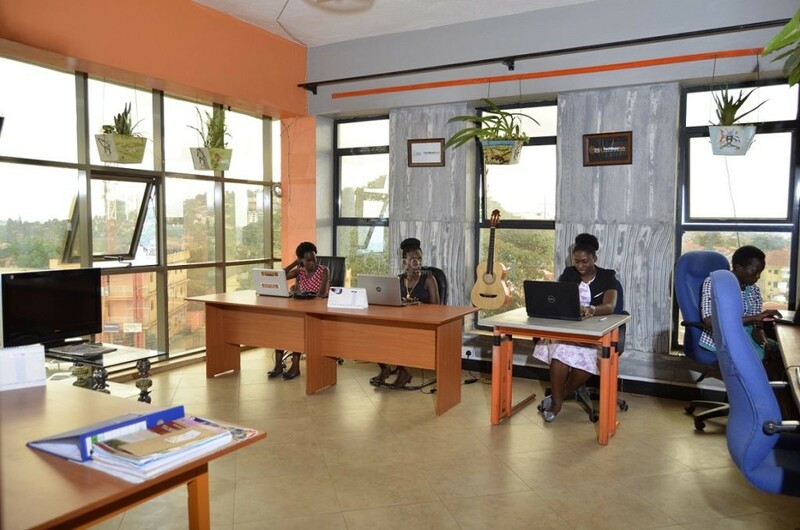 TechBuzz Hub was birthed by First Fortune Company Limited under the necessity to provide Business Development services, Support Technology and Financial support for the young entrepreneurs and startups. The TechBuzz and business hub which aims at bridging the incubation gap in the country. Fortnyt Series – A free experiential learning program that features a panel discussion with experts every after two (2) consecutive weeks. Startup Facility program – A startup/idea incubation program that offers one six (6) months to Prove their concept, Test the market and Experience the hard side of every business each taking two (2) months respectively. 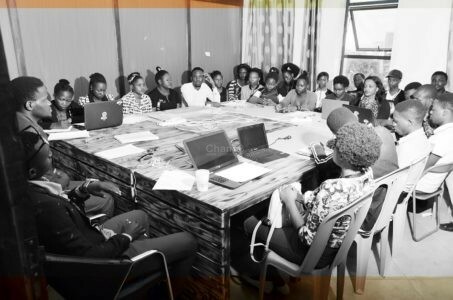 The Young Professionals Program – A program focused on giving capacity to the Fresh Graduates, Finalists, On boarding workforce/intra-preneurs, Entrepreneurs/Business Initiators and Interns to practically experience, train and master what it means and takes to work for or manage a business. However, I emphasize startups because they still be in the test phase with in the average mortality rate that is at three and half ( )) years and whose mastery for over years we have focused on. This is a monthly recruitment program that I encourage youth to join soon after knowing about it because procrastination is a cheat of time. Chano8: Where do you see TechBuzz in 5 years? I see TechBuzz as regional startup center. We believe in excellently problem oriented solutions and is what we emphasize in our everyday of our operations. But to be specific, we envision more than 100 startups seed from TechBuzz Hubs model approach across borders. Chano8: I understand you are one of the members of the YE Uganda Community. What kind of impact do platforms like YE have on young African entrepreneurs like you? 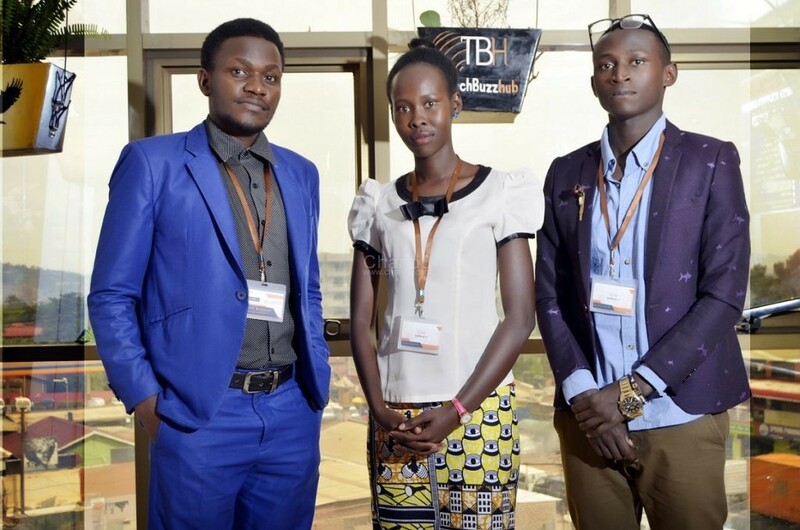 Well, I am a member of this platform, though personally have not leveraged into the so many opportunities it provides due to our company strategy, but, what I know for sure is that; Ye Uganda in particular is a great source of Knowledge, personal development, opportunities and networking with the likeminded youth entrepreneurs. I encourage everyone to join such forumsto obtain the tools needed to excel in entrepreneurship. Chano8: As a young entrepreneur, what’s your driving force? Money?, Success? Both or none? And why? I would say success but not at this level. I am driven by the aspiration to solve the community and world’s most pressings problems. The reason is, I wish to live in communities that live happily and with development oriented lifestyles and then my success that will eventually desire is successful supporting such a drive. Chano8: How many young people are you employing & what skills are they gaining? I work with not many but Just five but based on the model we are still running, on our 5 years drive, we shall be employing 100’s and 1000’s directly and indirectly under the supported startups. My management and leadership trait is an inclusive style. Whoever I work with knows we are supporting one another and the people we serve. We do our best to advise, motivate and share the knowledge for the better of all of us. Young entrepreneurs at a seminar recently. Chano8: What advice do you give to young people who are looking into venturing into entrepreneurship? Entrepreneurship is not for everyone. That everyone must know but intrapreneurship is for everyone. At term that means someone like an employee in a company that takes risks to solve a given problem for the growth and development of their company. We are all destined to success if we opt to discover our hidden potential and so if your potential lies into initiating a business, don’t wait, if it lies into working for a company, go for it and give it your best. The world is looking for those that can go beyond their outlook. And for real entrepreneurs, Find a very good problem, find supporting environment, scan for a good team then figure out your business model. The rest will be Success and money will follow us.